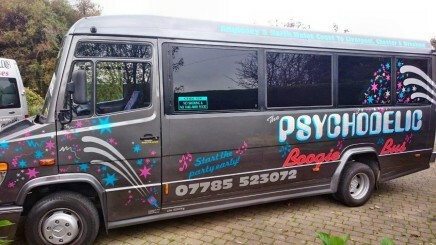 This is just what you need for your Hen night, Stag night or Christmas party. Or just get a group of friends together for a great night out. 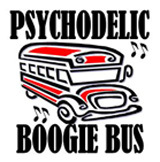 This bus gives you the opportunity to drink your own drinks and bond with your mates on the way to the big cities. Leave coats and bags on the bus when you're out on the town. Get dropped off on the way home to different places (sorry but not door to door). 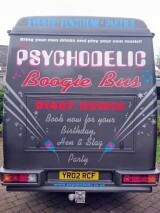 Use The Psychodelic Boogie Bus to travel from Anglesey or anywhere along the North Wales coast to Liverpool, Chester or Wrexham. We can also do trips to the Airport and Concert Venues. 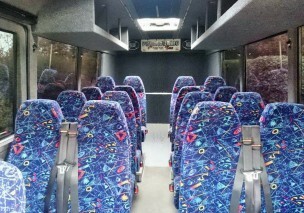 Get updates on last minute availability and bus sharing trips by Liking our Facebook Page. PayPal and Credit card deposits taken. Outstanding balance by cash on the night. The only way to start a night out! Drinking allowed but only if you bring your own. or you can plug in your own iPod.